Team Visit to NWRC Product Design Centre. 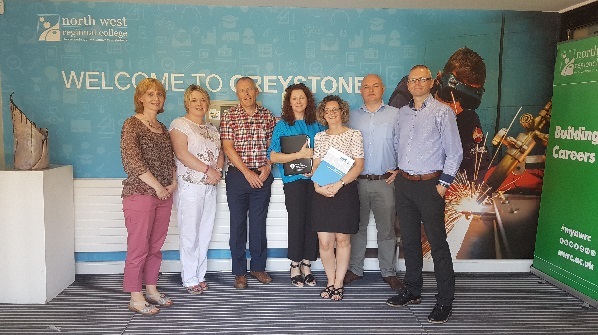 At the beginning of July, our Business Support Team had the pleasure of visiting the Product Design Centre at North West Regional College’s Greystone Road Campus in Limavady. We were ably hosted and guided around the centre by Liam O’Connor and Fergal Tuffy who both have impressive engineering backgrounds. 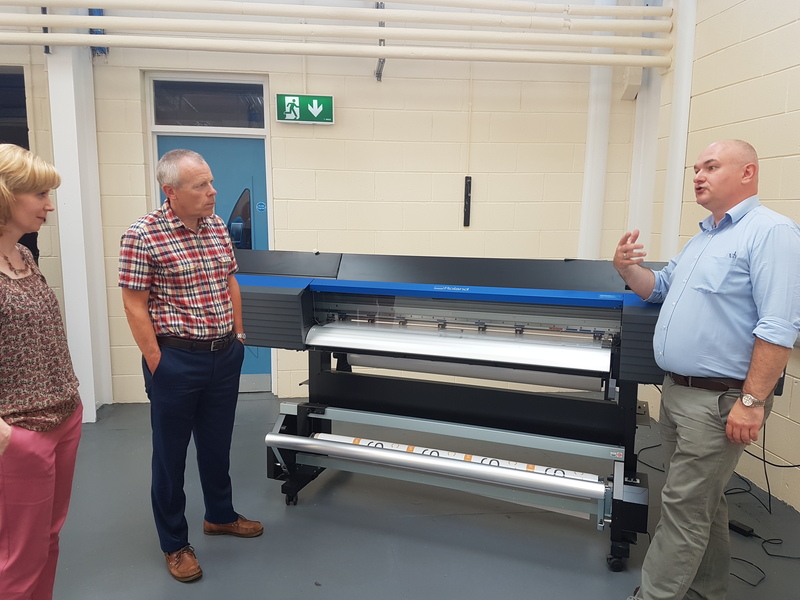 Their pride for the new centre was clear, as they showed us around the various pieces of equipment and described the pathway that an entrepreneur might take in partnership with the Product Design Centre. NWRC are very keen to support local businesses and can help with both product and process development. For example, the entrepreneur may be guided to the CAD (that’s computer aided design) room, where their idea is translated into something digital. This might be a new game, a new robot, or new smart technology. Where appropriate, a 3D printer produces the prototype from the digital imagery produced on CAD earlier (e.g. SolidWorks), without the need for expensive software licences being purchased by the entrepreneur at this developmental phase. This is an important stage, to visualise the functionality of the prototype, prior to an investment in expensive raw materials e.g metals and plastics. Another avenue that the entrepreneur might need is skills development, either for themselves, or for their staff, without the requirement for lengthy studying. 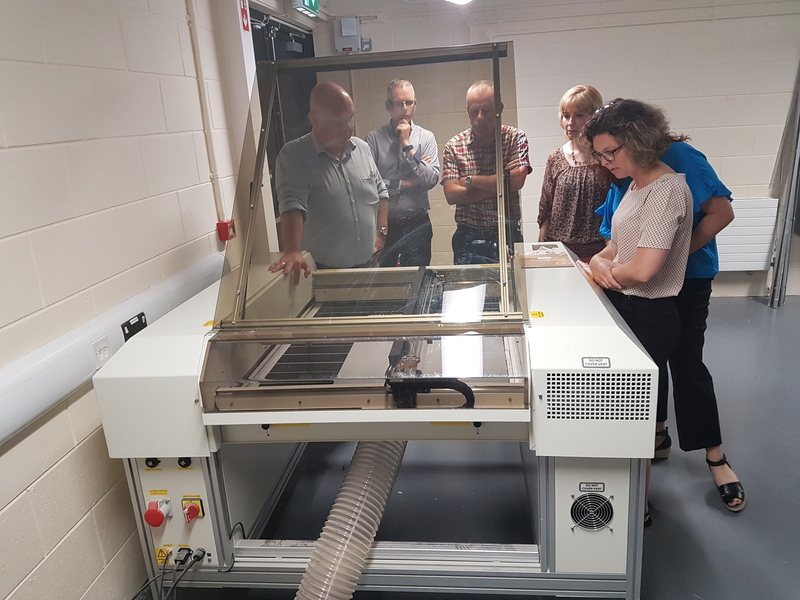 For example, the NWRC offer new and exclusive shorter courses in 3D design and product manufacture, digital prototype manufacture and digital prototype design. 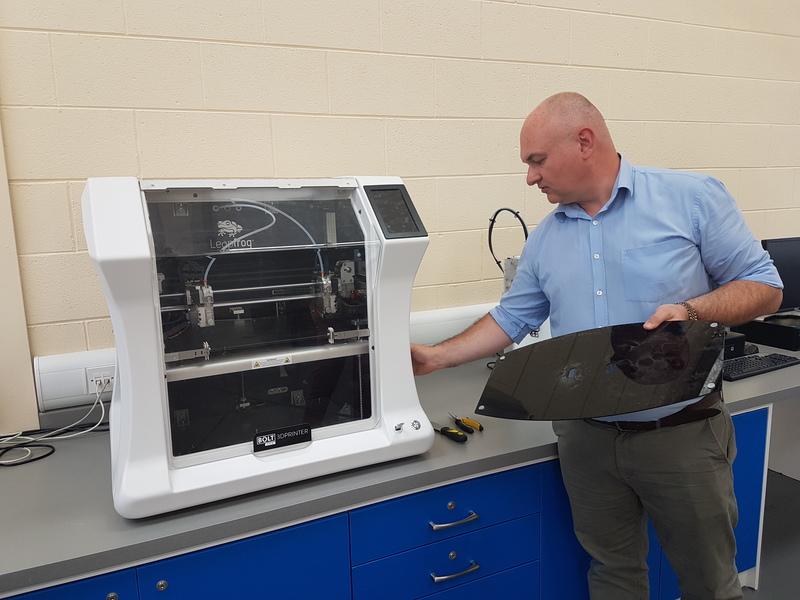 The Team at the Product Design Centre can help advise on potential funding channels, including Skills Focus, Innovation Vouchers and Innovate Us. A combination of in-house capabilities and collaboration with external partners of NWRC, ensures that the best support package is made available to the entrepreneur. 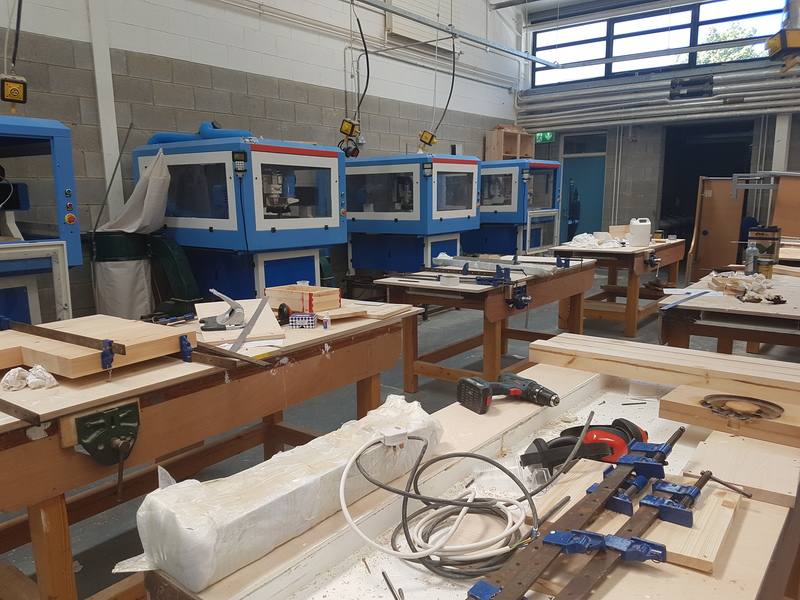 We were thoroughly impressed with what we saw at the Greystone Road Campus, including the Product Design Centre, the welding academy, the car repairs area, the electronics and woodwork areas. Together the various elements of these modern facilities offer both students and employers lots of practical and bespoke solutions to their employment needs.